Previous PostPrevious 1001. 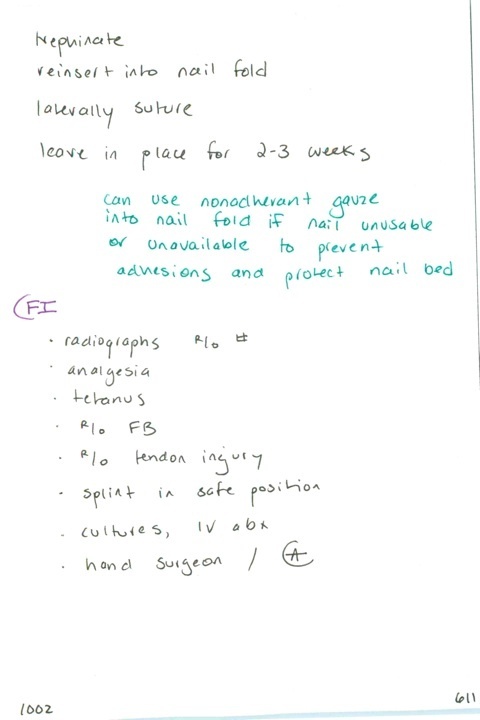 Management of fingertip amputation if wound < 1 cm // Radiographs in nailbed injury? // When to trephinate / If subungual hematoma & fracture, pull of nail?